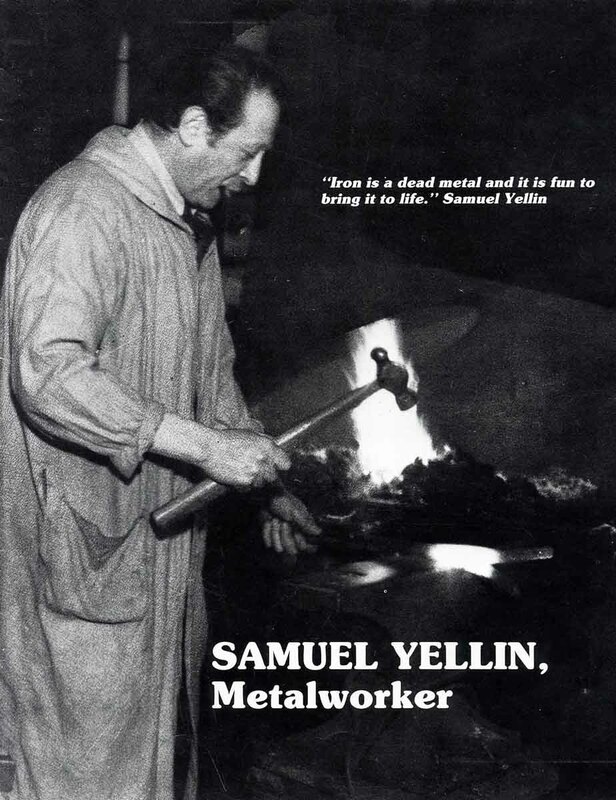 Iron gates by Samuel Yellin, who is considered to be one of the greatest blacksmith artists. This was salvaged from a Philadelphia bank. The frame of each door is exactly 118.25 in. tall and 35 in. wide, and the frame itself is 1.25 in. thick. 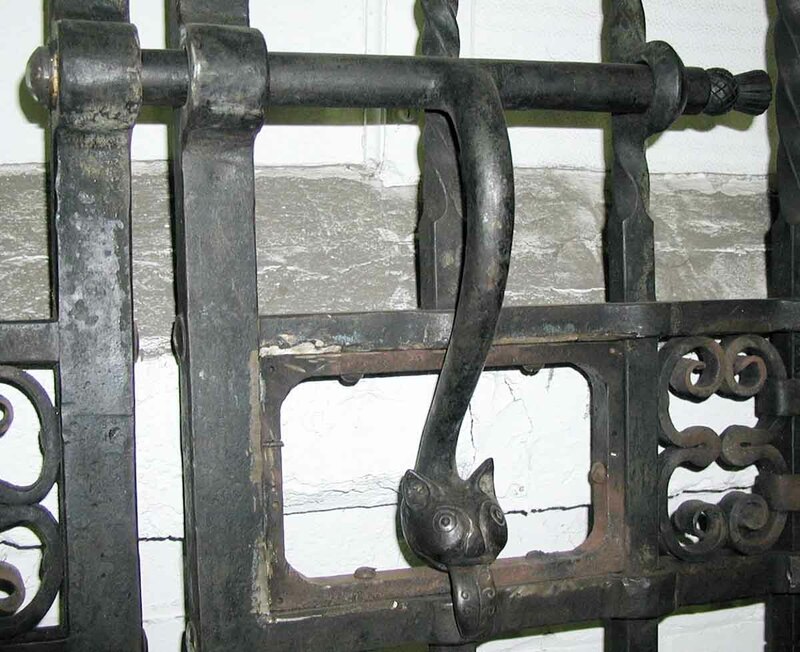 The horizontal bolt with the thistle on the right end is 18.5 in. 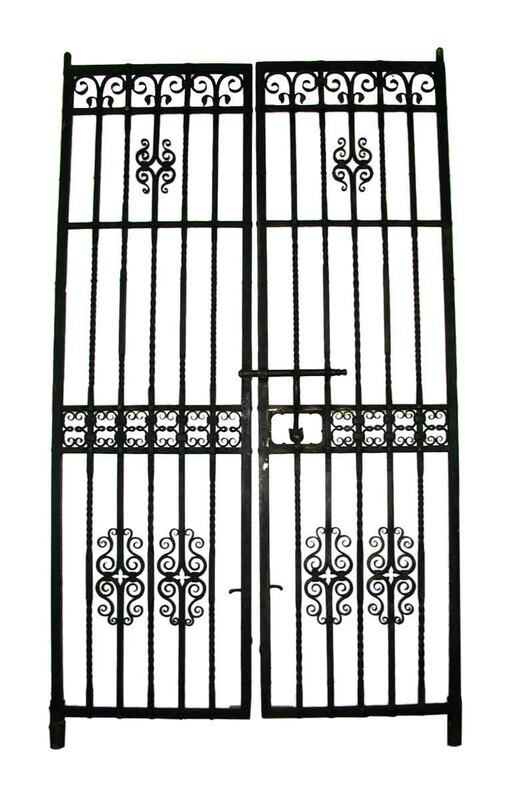 long and is located in the middle of the gate. 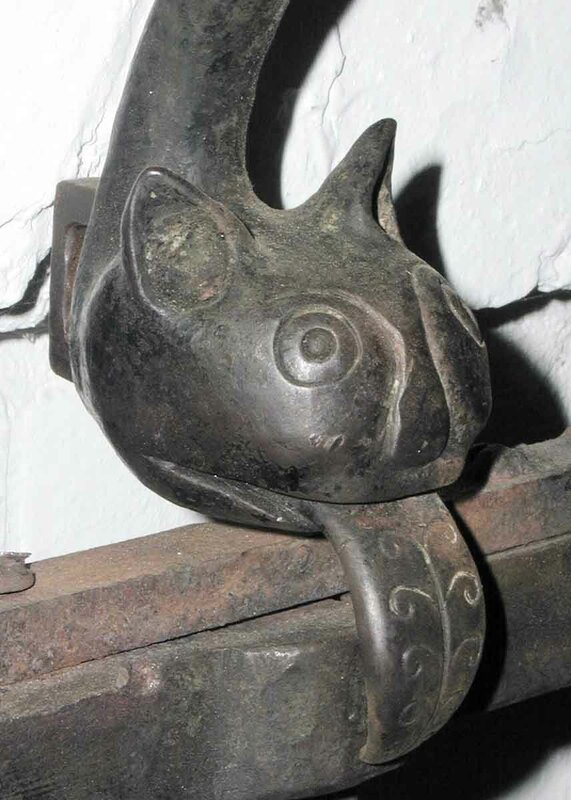 The vertical ‘cat’ latch extending from the middle of the thistle bolt is 14.5 in. long to the tip of the tongue with an S curve shape. 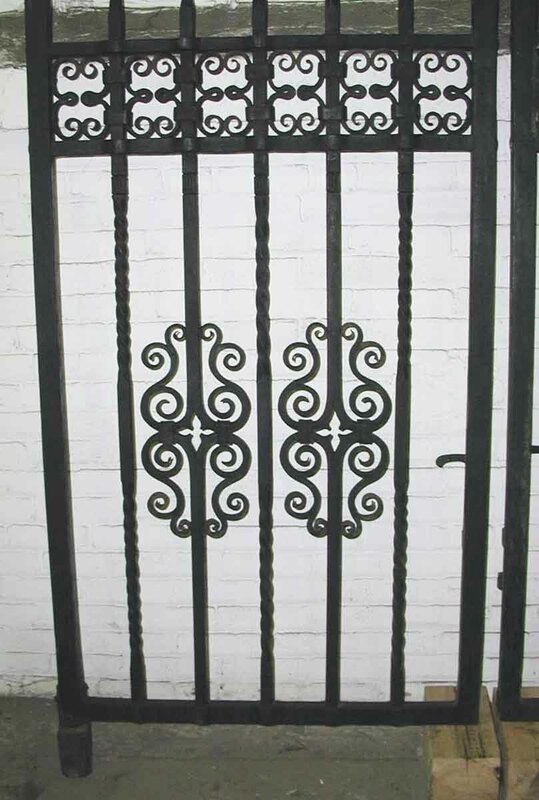 At the bottom outer corner of each gate is a ‘foot’ that you would install into the ground that extends 6.25 in. 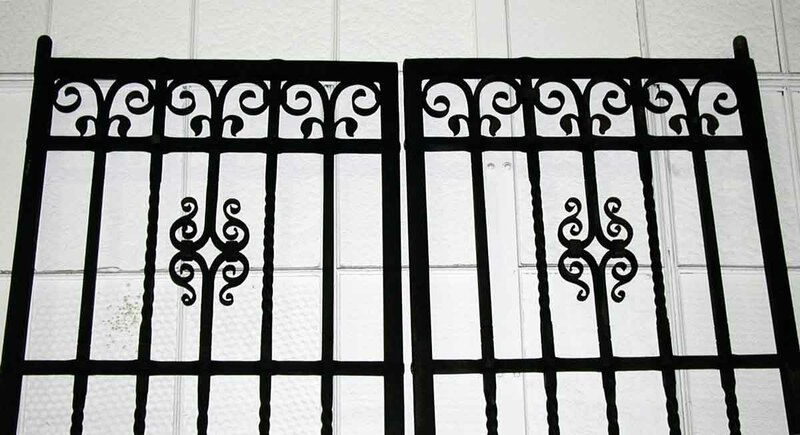 straight down beyond the bottom frame, and at the outer top corner is a ‘foot’ that extends about 4 in. straight up beyond the top frame. 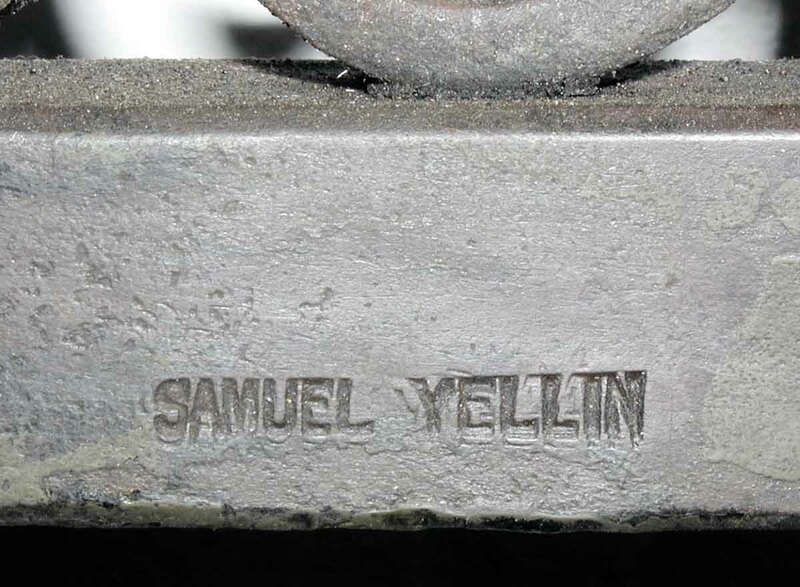 Samuel Yellin’s stamp is on the gate. 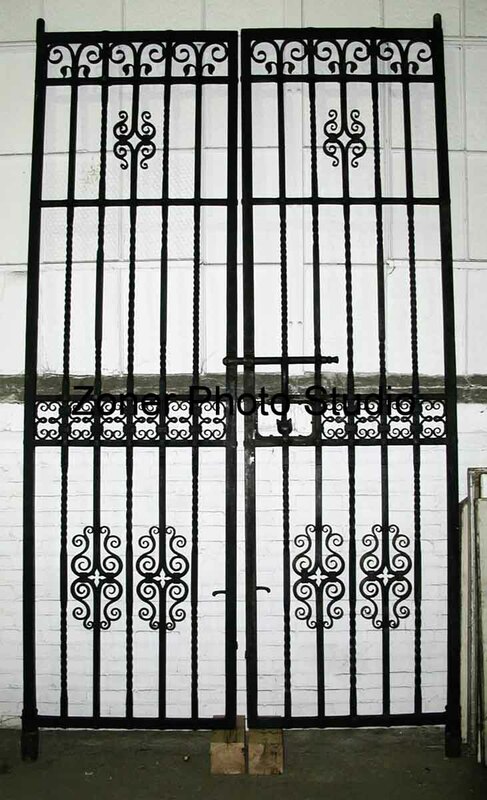 They would make a great historical addition to a home or business. Priced as a pair.